The skin is the largest organ of the body. 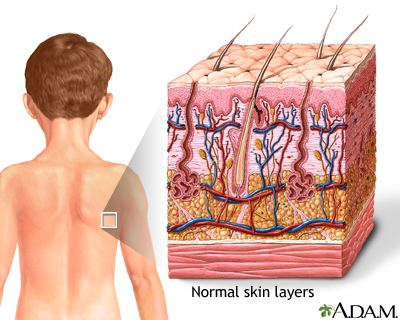 The skin and its derivatives (hair, nails, sweat and oil glands) make up the integumentary system. One of the main functions of the skin is protection. It protects the body from external factors such as bacteria, chemicals, and temperature.